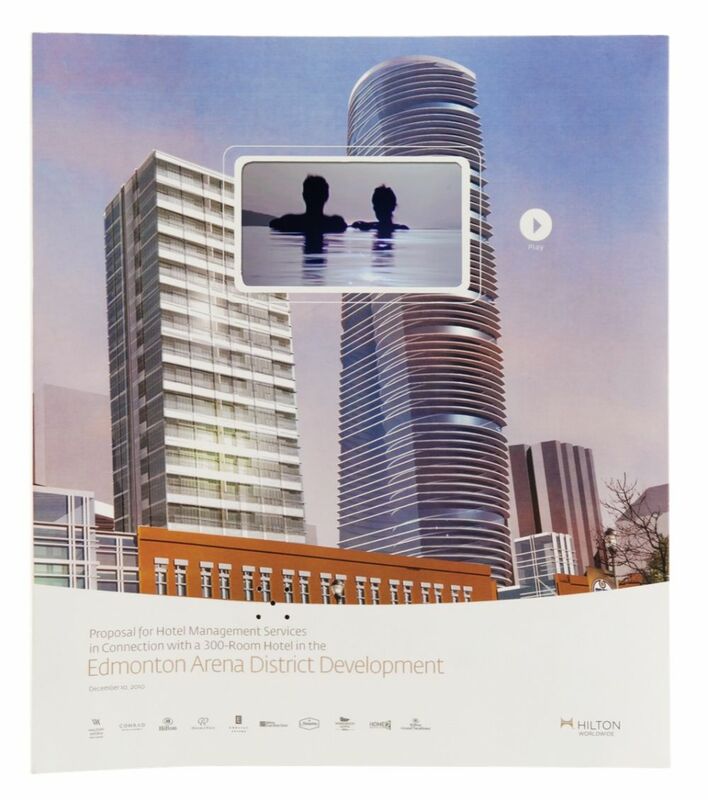 The Hilton Corporation was submitting a bid to manage a new 300 room hotel in Canada. In a very competitive landscape, Hilton’s Business Development Team needed a creative way to cut through and stand out against the competition. It was important that its imaginative business plan was not lost in a generic proposal binder. 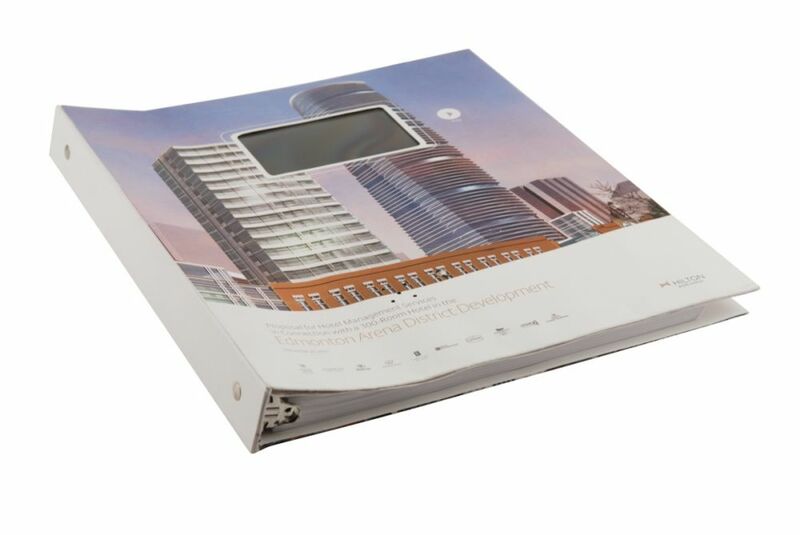 Knowing that the medium is the message, Americhip designed and produced an innovative marketing binder to hold Hilton’s proposal that included our patented Video in Print technology in the front cover. What better way to showcase your creative management proposal than by using Americhip’s innovative video brochures. Hilton utilized the Video in Print binder to showcase its experience and history as a leading hotel operator around the globe. Even before the reviewing board opened the proposal, it was treated to an engaging video demonstration highlighting Hilton’s qualifications. Transform your next presentation or pitch binder from a traditional, overlooked piece into a real show-stopper. Speak to your audience through a medium that motivates and inspires.